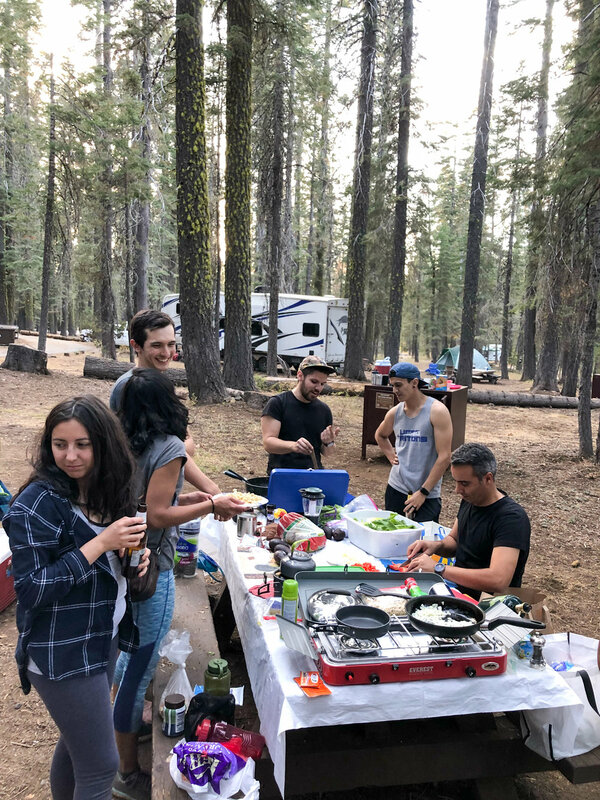 This year the Dennis Lab took our annual camping trip to the Plumas National Forest. 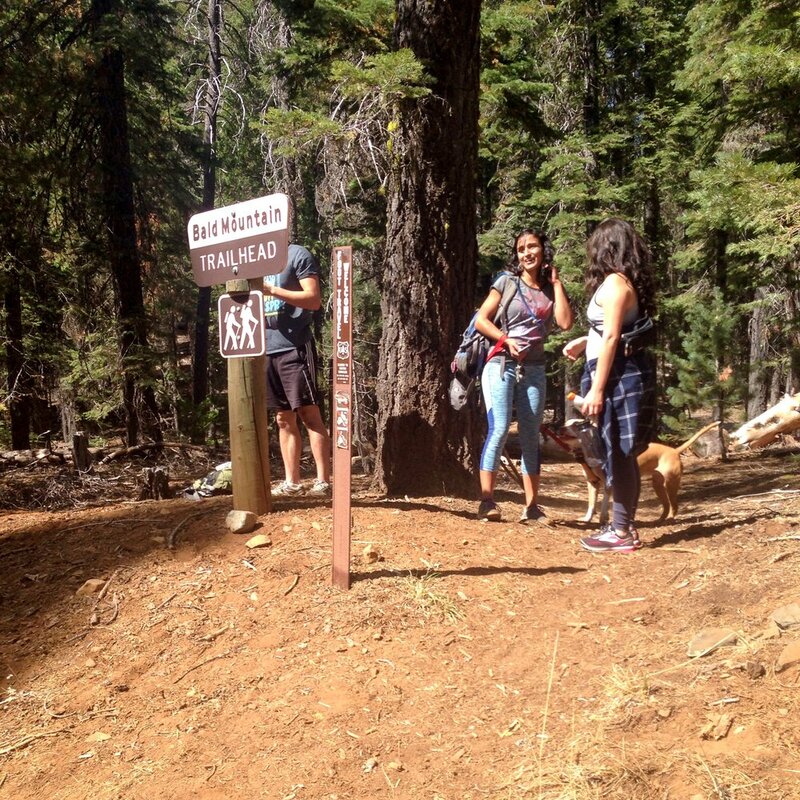 After some “I hope everyone makes it to the trail head” shenanigans, we embarked on the Bald Mountain Trail, most of us barely keeping up with some of the shortest (and youngest) hikers. 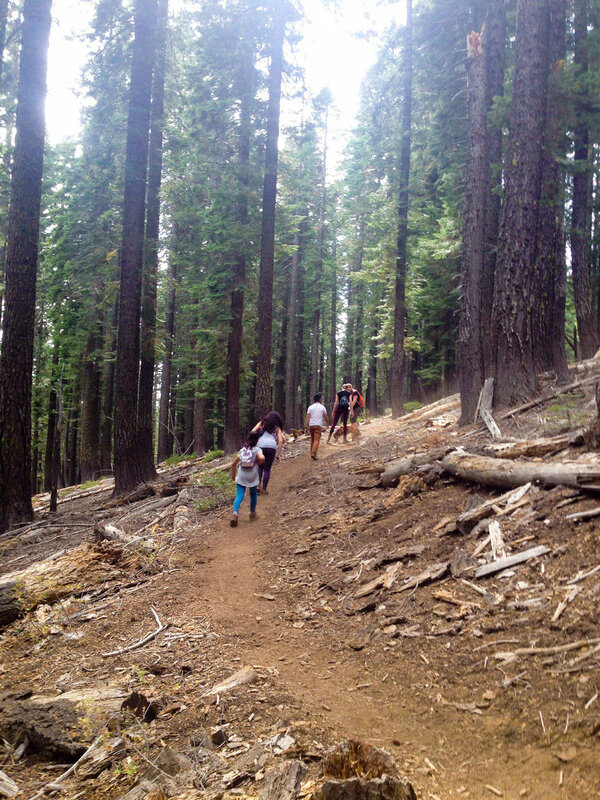 After taking in the scenic views of the Little Grass Valley Reservoir we headed back to set up camp. 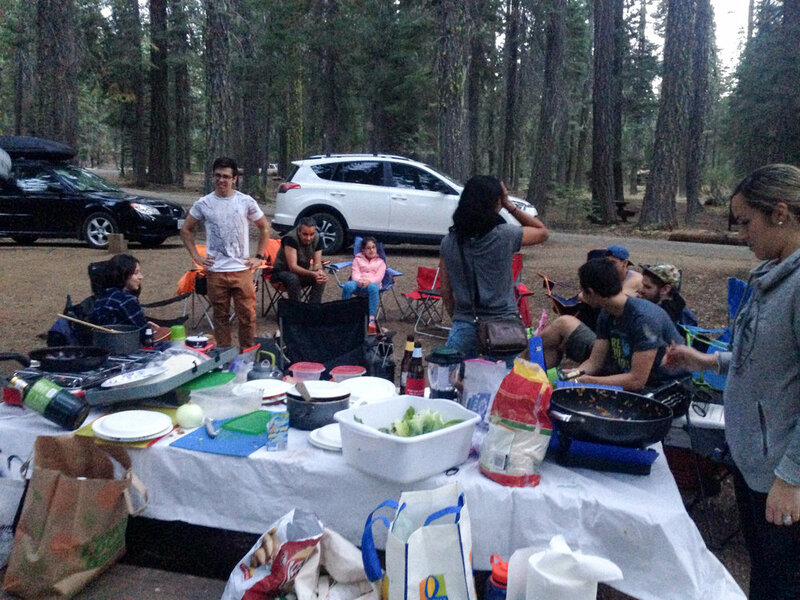 Tacos were eaten, s’mores were made, and countless laughs were had by all. 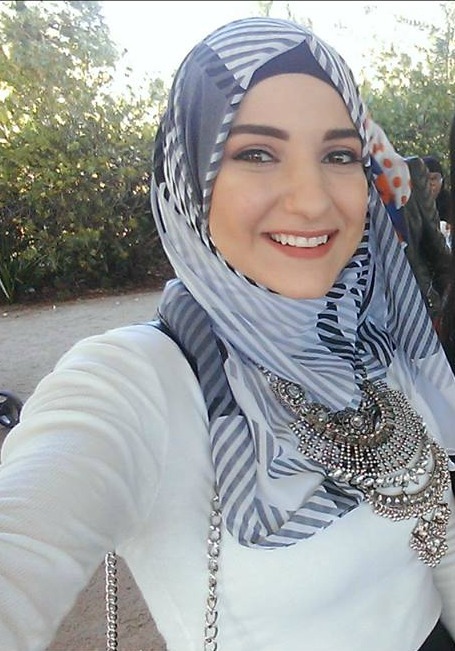 Congratulations to Alex for her recent acceptance into the UC Davis Professors for the Future program, a year-long fellowship that provides a series of professional development workshops and opportunities to develop leadership skills in order to prepare doctoral students and postdocs for the competitive academic field! We are excited to announce Aarthi's acceptance and participation in the Computational Genomics Course @ Icahn School of Medicine at Mount Sinai in New York, New York, June 18 - 29, 2018! Looking forward to hearing about the methods and science she learns from this awesome course. For more information on the program, click here. Our very own postdoc Alex Colón-Rodríguez has just returned from the 2-week MBL Zebrafish Development and Genetics course at Woods Hole (seven years after Megan attended in 2010) where she learned many useful techniques including microinjections, imaging, and in vitro fertilization. Among all the fun and work, Alex also had the opportunity to present her first poster as a postdoc and as a Dennis lab member! Paulina and Colin recently attended the meeting “Evolution and Core Processes in Gene Expression”, a special symposium from the American Society for Biochemistry and Molecular Biology (ASBMB), held at Stowers Institute for Medical Research in Kansas City, MO. Paulina presented the poster “The birth of regulatory elements within human-specific genomic duplicated regions”, which had good reception and comments. Both really enjoyed their time at Stowers, the talks were very useful and interesting. Overall, it was a great opportunity for knowing others working on gene expression and evolution. Congratulations to Paulina Carmona-Mora for being named a one of 61 semifinalists from ~500 applicants for the 2017 Charles J. Epstein Trainee Awards for Excellence in Human Genetics Research for the 67th Annual Meeting of the American Society of Human Genetics. The upcoming meeting will be held in Orlando, FL, October 17-21. Wishing you the best of luck, Paulina! Dennis Lab postdoc Alexandra Colón-Rodríguez became a neuroscientist after seeing family members suffer from Alzheimer’s and PTSD. She wanted to find out for herself and others why these diseases happen. Colón-Rodríguez is also passionate about outreach. She shares her own experience as a Puerto Rican woman advancing in the field to inspire others, especially females and underrepresented minorities, to become neuroscientists. Click here for her story. Here's to another year successful science in the Dennis Lab! Dennis Lab supports Red Nose Day! 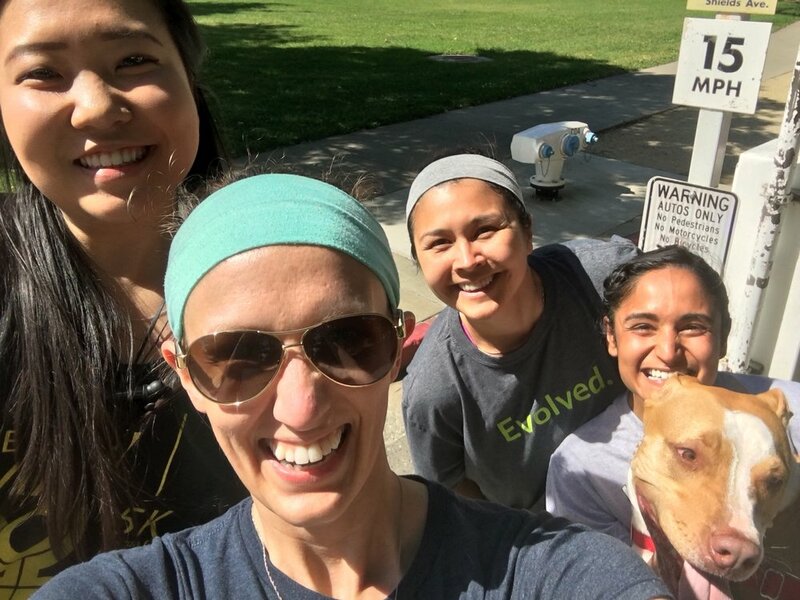 Lab members took a moment out of their busy, busy week of grant writing to support Red Nose Day, a foundation that raises money for "projects that ensure kids are safe, healthy, educated, and empowered.... in all 50 states and in some of the poorest communities in Latin America, Asia and Africa." We are pleased to welcome three new lab members to the Dennis lab this quarter. Alex Colon-Rodriguez started in January having received a dual major Ph.D. from Michigan State University. An avid animal lover, perhaps fittingly, her research will focus on developing high-throughput screens of neurodevelopmental phenotypes in zebrafish. Aarthi Sekar joined in April as part of the IGG grad group (originally hailing from Mills College). Armed with a remarkably diverse background in science outreach and research, she will focus on human duplicated genes. Colin Shew joined in April as part of the IGG grad group having graduated from UCLA. With a general interest in evolution and mountaineering, he will focus on human duplications and gene regulation. Our study characterizing human specific segmental duplications is out! After searching through hundreds of human and great ape genome sequencing, we identified unique human duplications containing 33 gene families (80 total paralogs). Of these, 10 were found in all humans (thousands tested) in a putatively functional form and expressed in tissues, making them candidate genes for innovative features in modern humans. Novel homo sapien specific duplications of TCAF 1 and 2 identified, genes that play roles in cold sematosensation. Congratulations to the LaSalle lab winning with their epigenetic-inspired costumes! This summer and fall quarters, the Dennis lab has welcomed a number of talented undergrads and a high school student to our group. Click on their images below to learn more about them! Included amongst other great reviews in Current Opinion in Genetics & Development issue on Genetics of human origin. Link to the article here.